Over this past week I’ve been going through some of my old business magazines, reading articles about successful entrepreneurs and how they are getting business exposure. So as I was reading this article about Justin Bieber and his ventures, he talks about how his brand came to be. Now even though he has the money to invest in anything in the world, he says “I’m not going to invest in something I don’t like; I have to believe in the product” -Forbes. This is so important when you consider putting your name on something because if you are a celebrity online or offline or both, people are constantly looking at you and looking at what you’re doing. Furthermore, it can make you more successful or it may not. Some people who have a lot of money feel as if they need to put their money everywhere to make it grow or feel important but at the end of the day, you need to stay true to yourself and not sell your soul for a pot of gold. Just sayin’. Another thing that is important is staying true to your fan base, if you have one established. One other point Bieber mentioned was this: “Social media helped launch my career. Without the internet and without YouTube, I wouldn’t have gotten the chance to put my music out there and have people hear it.” -Forbes. Needless to say, social media definitely plays a huge role in getting the exposure you need for branding yourself and your business. It’s amazing how people are getting reality shows and record deals from YouTube alone. They will be more outspoken, and will be the ones who often respond to others. Cultivate these people, because they can be powerful allies. Once you have identified the more influential members of your community, socialize with them regularly, offer them freebies from time to time, build a good relationship with them and always remember to be genuine. Now you might be thinking “what does this have to do with getting noticed?” Well it actually has a lot to do with it. Your vision is what keeps you on your toes. It’s like fuel for your business. Every top earner in their business had a vision to be on top. Even if you don’t have a dime to your name, you should still believe you are at the top of your game. Faith it until you make it. Never let anyone see you sweat. You have got to get your name out there. Nobody will know who you are and what you do unless you get exposed (in a good way of course). Blogging is one of the top ways to get the exposure you need. Blog daily and you will start to build momentum and traffic. Write articles for ezines and sites like Articlebase, Hubpages, and EzineArticles. This is really where it’s at right now. Making videos will get you plenty of leads as long as you optimize correctly. Don’t just limit yourself to YouTube. Upload your videos on Vimeo and Dailymotion as well via Oneload. Letting people actually see who you are and get to know you builds trust and long lasting relationships. These are a few ways to get yourself noticed and get the leads you need. Start with these first and then move on as you learn more about what works for you. Everything ain’t for everybody so the best thing to do is try, and keep trying until you get it right. 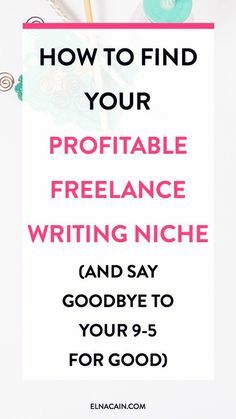 You’ve given some good tips about how to give your name more exposure. if video marketing is where it’s at, I’m not there. Sigh!